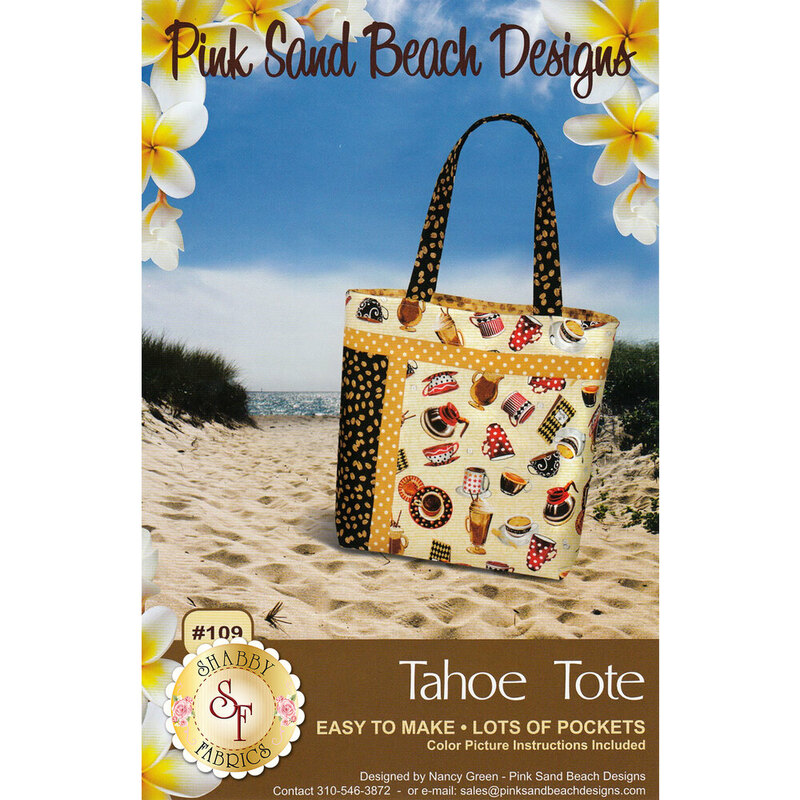 This easy to follow pattern by Nancy Green for Pink Sand Beach Designs is a fun way to use your favorite fat quarters to make a handy tote you'll love! 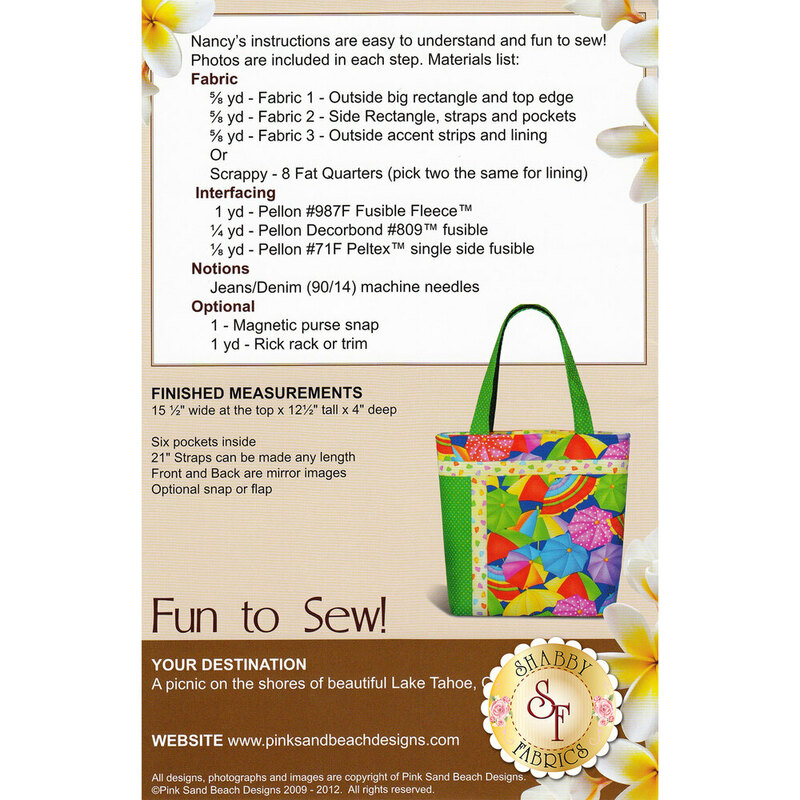 This bag features six interior pockets, 21" straps ( or you can make them any length that works for you), and an optional snap or flap closing! 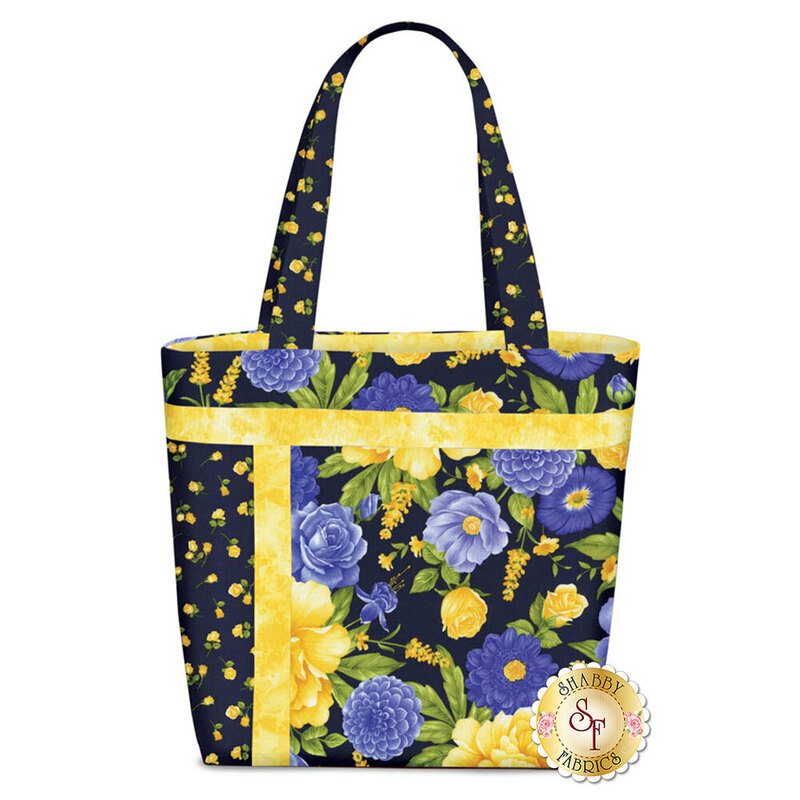 Tote measures approximately 15½" wide at the top x 12½ tall x 4" deep.